Rewind back to August 2011. The United States was in the final stages of its beleaguered Iraq War, and some months back, President Obama announced al Qaeda leader Osama bin Laden was killed by Navy Seals in Pakistan. But al Qaeda was still a viable threat — just ask late-night host David Letterman, who got his own taste of what it was like being a public enemy of the extremist group. 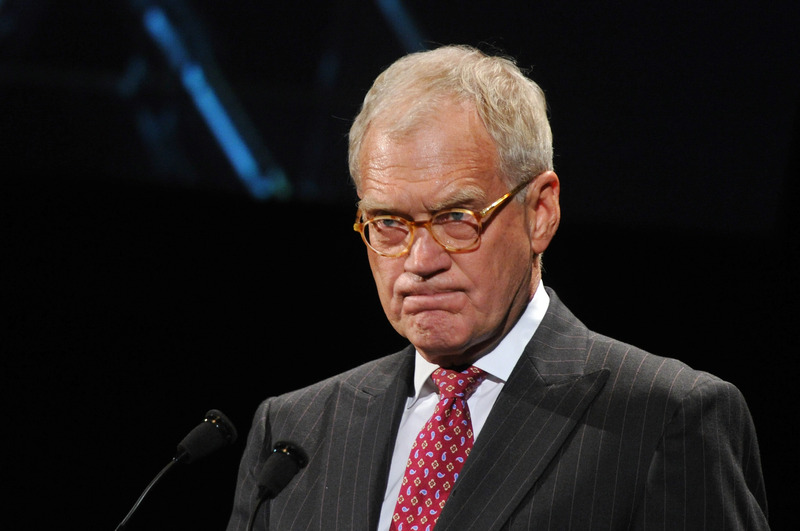 Why did al Qaeda want to attack David Letterman? Of course, it began with a joke. Letterman has long made al Qaeda a target on his show, with bits like "Top 10 Signs Your Kid Is In Al Qaeda" to "Top 10 Al Qaeda Ranch Names." The online death threat, which appeared on the al Qaeda-frequented forum Shumukh al Islam, appeared to specifically respond to a joke Letterman made about Ilyas Kashmiri, a senior al Qaeda official who was reportedly killed in a drone strike a couple months earlier. Kashmiri was one of bin Laden's top lieutenants and an important al Qaeda operative the United States and Pakistan wanted captured or killed, according to BBC News. The commenter, who went by the name Umar al Basrawi online, called for Muslims "to cut the tongue of this lowly Jew and shut it forever," according to SITE Intelligence Group, which tracks extremist traffic online. He [Letterman] showed his evil nature and deep hatred for Islam and Muslims, and said that Ilyas Kashmiri was killed and he joined bin Laden. ... We ask Allah to paralyze his tongue and grant the sincere monotheists his neck. Letterman is not Jewish, in case you were wondering, but he was unsurprisingly pretty good-natured about the whole incident. After all, Letterman's job was to crack jokes about headline-making news, even if the stories were about himself. The Late Show was on a two-week hiatus at the time of the threat, but Letterman came back no holds barred, unloading a series of jokes that would have put the online commenter to shame. "Thank you very much for being here tonight. We have great audiences night in and night out, but tonight especially, it means a lot to me. Tonight, you people are more to me, honestly, more than an audience… you're more like a human shield." "I have a fatwa on me. And they say the guy that issued the fatwa is an Internet jihadist. Internet jihadist, and I said, 'Well, heck, who says Obama isn't creating jobs?'" "Backstage, I was talking to the guy from CBS. We were going through the CBS life insurance policy to see if I was covered for jihad." And he capped his comedy comeback by featuring the threat in a Top 10 list called "Top 10 Thoughts That Went Through My Mind After Hearing About The Threat." 10. Someone wants to silence me? Get in line.9. Nothing says summer fun like a death threat.8. Why is the staff in such a good mood?7. Save me, Oprah!6. Should I wear my Kevlar hairpiece?5. And here I thought nobody watched the show.4. How can someone be so angry at a time when Kim Kardashian is so happy?3. Some people get Emmy nominations; some people get death threats."2. This seems like Leno's handiwork.1. Oh my God, they canceled ‘The George Lopez Show'! After Wednesday's show, Letterman will officially be off the airwaves, and it's moments like this that'll be the most missed. Al Qaeda is no joke, but somehow Letterman pulled it off.